Our beautiful island is blessed with an abundance of lush greenery and rolling country sides. 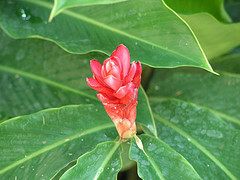 Amid this greenery is an array of beautiful flowers, many of which are indigenous to the island. 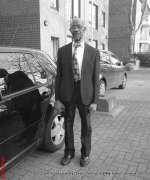 CLICK HERE to jump down to the beautiful pictures. This is the National Flower of Jamaica and was discovered here by Christopher Columbus. It has medicinal qualities and was used over the years in home remedies. It grows best in dry areas which are typically along the North and South Coast and blooms a beautiful blue flower. The Poinciana is a beautiful fern-like flower. Its blooms are in red flowers but there are varieties which bloom orange and yellow flowers. Typically, blooming season ends in September. 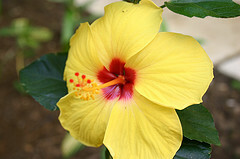 This Hibiscus is a very common flower in Jamaica. Its branches and leaves are a deep green and it blooms a variety of flowers in red, deep red, yellow, pink and white. 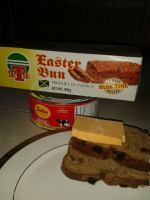 It is a vigorous grower and can be seen in almost every yard in Jamaica. This flower is small in growth stature hence the name “Dwarf”. It does not grow higher than 3 feet but it blooms some absolutely gorgeous flowers in yellow, orange and fiery red. It blooms very early and starts blooming within a month of growth. Its small stature allows it to be used as a cut flower which makes it easy for floral arrangements and it has a long shelf life. This is a garden flower that is exotic and beautiful. It is used as a centre piece or planted along walls as the flower hangs from its branches. The flower is stringy and resembles a cat’s tail in a rose colour shade. 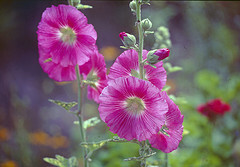 There is also another species of this flower which grows in a light shade of pink. Heliconias are red, yellow and orange flowers with a firm exterior. They are beautifully angled on the stalk in an upward outward direction. Their leaves are large and they make a perfect addition to floral arrangements. They have a lifespan of up to 1 month outside of water. This is an evergreen shrub whose survival depends on it being pollinated by bees. This flower prefers sandy and clay-like soil for rapid growth. Its survival is very high as it thrives in shaded woodlands and moist soil. Its leaves are a bright glistening shade of green. The Fern is not a flowering plant but its beautiful green star-like shape makes it a home favourite. It also has a tenacious ability to flourish in damp soil and in direct contact with the rays of the sun. It is believed to bring good luck to persons who possess it. This flower grows on barks and branches of hard trees. It survives by absorbing the moisture and other nutrients from the tree. It grows in clusters of 4 or 5 stalks sprouting flowers that are round, flat and red. Its petals are wide and fans outward with a flat ruffled tip dripping with a hint of yellow. 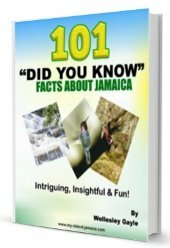 The Blue Mahoe is the National Tree of Jamaica. It boasts a fast growth extending up to 60 feet. It has a straight hard trunk which when cut shows you a beautiful hue of blue streaks under the bark. Its flowers are a beautiful turquoise blue and flails outward. This is a flower that blooms in white and bears a fruit which is even more beautiful. It is in a spiked shell which turns maroon red when ripened. This is cut open to reveal a cluster of red juicy, sweet and peppery fruit. This fruit is used to add flavour to local dishes and to enhance colours on the lips. It is sometimes referred to as "the lipstick" flower/tree. 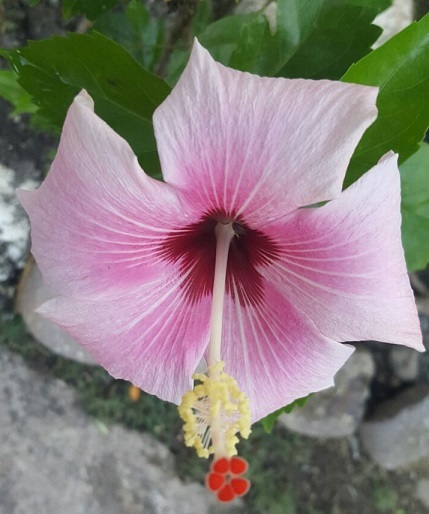 These are some of the flowers that are indigenous to Jamaica, however the island boasts a vast variety of other flowers which thrive perfectly due to our tropical climate. There include Wild Flowers, Logwood, Passion Flower, Morning Glory, Roses and Daisies. Here are pictures of a few of some of our most striking Jamaican flowers.